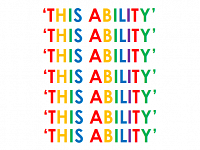 The Yorkshire and Humber office of the charity Just Different, set up to provide meaningful paid employment opportunities for disabled adults, is searching for workshop presenters on a self-employed basis. This will involve going to schools, businesses and community groups and talking about difference in a way that encourages acceptance, tolerance and understanding. Have you ever struggled to communicate? These workshops at Woodthorpe Development Trust may help you to express yourself and are aimed at people who have a learning disability, a mental health condition, complex needs or who experience communication barriers. Sheffield Hallam University students are running a series of workshops to make sci-fi themed costumes through March at Highfield Trinity Church on London Road.